The 2D action RPG CrossCode has been announced by publisher Deck13 and developer Radical Fish to be releasing on the Nintendo Switch with some exclusive content, similar to the Playstation 4 version which is also coming in 2019. 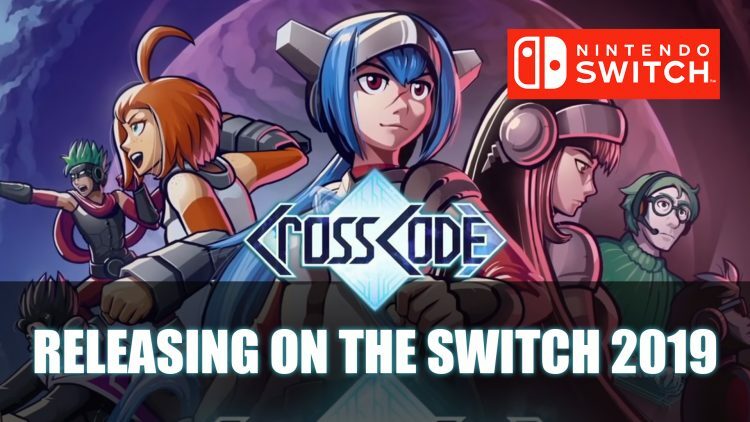 I think this is fantastic news as I thoroughly enjoyed playing CrossCode on PC and would love to try out the quirky sci-fi adventure on the Nintendo Switch, as it would be a great complement to the game’s feel and gameplay. The added benefit of playing anywhere at anytime makes a lot of sense as this game is easy to pick up and play. If you’ve ever wanted to experience an MMORPG but in a single-player RPG game I would recommend trying this one out. If you want to know what we thought of the action-RPG CrossCode be sure to read our CrossCode Review – A Fast Paced Sci-Fi Puzzle RPG. You can also check out more recent RPG news in Evoland 1 And 2 Comes To PS4, Xbox One And Switch In February and Bioware’s Anthem Goes Gold.